Thanks to your help, I made a new package that solves many problems. Plus, the new package supports from 10.5 to 10.7, so give it a try! Thank you very much tat! I downloaded the new version (the one you made that works for OS X 10.5–10.7) and enabled the 64-bit option but a few seconds after everything loaded (i could see the cockpit, runway, etc) it crashed. I guess it's my machine, because the previous download (2.6 r314 for OS X 10.6–10.7) was not 64-bit right? Could you please clarify that for me. Anyway, when I started it again with 64-bit disabled it also crashed as it finished loading, but I just started it once again (with 64-bit disabled) and now I'm playing it since it did not crash again.. that makes me think that maybe it's just a "first-time-run" bug that happens once for each 32-bit and 64-bit version, and I should try 64-bit again since that would be ideal I think. Also, I've noticed with this new version (in 32-bit) that when I switch to the next view from cockpit view—so to Helicopter view—my FPS goes from 60 to 15 and stays there even when I switch back to cockpit view. I'm guessing it's because of the new 2.6 feature that only loads the parts of the aircraft into memory that are visible. However, in the previous version (2.6 r314 for OS X 10.6–10.7) I could switch to that view and still have 60 FPS. Maybe, though, it's because I'm playing it in 32-bit mode now and the previous version (for OS X 10.6–10.7) was indeed 64-bit(?) and if I tried running it in 64-bit now it might not crash and this performance drop would be gone? I will try it later and update you. I should mention though that even in the previous version (2.6 r314 for OS X 10.6–10.7) it seemed like when I was cycling through all the views once, one of the other views caused the frame-rate to drop (to around 15fps as well), which doesn't quite make sense if the reason for this is because of the loading of the rest of the aircraft model (and if I didn't just imagine that and the FPS drop was merely a coincidence and caused by something else. I can install r314 again and verify if it is the case and, if it is, which view is sparking the drop in frame-rate, if you want me to. P.S. Can you or somebody else test if print("test"); in a Nasal script works? I can't see any output anywhere on the screen, in the nasal console, or in the terminal when I launch fgfs manually with ./fgfs.sh from Terminal.app. I need this to do some simple debugging of a script I'm editing. For example in data/gui/dialogs/display.xml at the start of the /PropertyList/nasal/open element. But typing it into the nasal console and clicking Execute doesn't do anything either. Update: I just tried 64-bit again and it didn't crash this time. I guess it really was a "first-time-run" issue. Then I switched to another view and fps dropped to 15. Then I quit and when I started it again (in 64-bit) and I was able to cycle through all the views and get 60fps on each of them! I made the same experiment with the 32-bit version and the same thing happened. I can get every view @ 60fps! As with the crashing, this must be another "first-time-run" problem. Update 2: After some more flying (in 120kts winds!) I switched to helicopter view (from cockpit view) and the frame-rate dropped to 15 again. I don't know why it happens sometimes and other times it doesn't. This was in the 64-bit version of FG 2.6 r319. Hey! I've got a Macbook Pro (15") running Lion. (flightgear 2.6) Whenever I start with an aircraft, during the Initializing Subsystems loading screen, FG just crashes. Anybody know of a fix for 2.6? Woo hoo!! Tat, I don't know what rabbit you pulled out of your hat, but your latest build gives me more fps with more shaders enabled than any previous version. Lots more testing to do, but I couldn't go to bed without noting the significant improvement. One thing: since 2.2 or 2.4, I get roughly half the frame rate if I'm flying a helicopter as I do with fixed wing. Halve it again if another heli is in view. I typically fly an older EC135 or the UH-1. Let me write a story on releasing 2.6.0 to answer some of your questions. RC1 and RC2 were made with faster configuration (i386/Cocoa), but I had to cut off some speed for stability in 2.6.0 release. RC2 has a problem on some macs, and it was a critical since resizing the window totally brakes the image buffer, resulting messed up sim graphics. Some bug reports on RC2 made me think that the cause is a Cocoa powered osgViewer. So I switched it to Carbon powered osgViewer, and the problem went vanished. FYI, osgViewer is a window/event handling front-end of a drawing library called OpenSceneGraph. Carbon and Cocoa are two different mid-level programming interfaces on the Mac system. These two basically provides the same functions, and both have pros and cons. Nowadays Cocoa is much faster than Carbon so I prefer Cocoa, but the Cocoa based osgViewer is not that matured as Carbon based one. There are some key / cursor handling bugs on RC1 time and I made a patch to fix these. It also had a crash-at-exit problem, so I made another patch before RC2 came out. I also fixed some key handling bugs on osgViewer found at RC2 and thought it is Ready for 2.6.0. Then the resizing issue came out and I thought I should take stability than speed for covering wide range of Macs. Carbon based osgViewer has been used since 2.0.0 so it is enough stable. That's why I chose Carbon based osgViewer. When 2.6.0 was released, I got many messages like yours. I also had some messages that resizing problems has gone. While I was tackling se other bugs, I had another email with a guess that the resizing issue may be due to a GPU driver bug. So I checked all reports again and found that the resizing problem happens only with specific ATI chips (e.g. x1600, 5750). I fortunately have one ATI capable Mac so I tried FG with Cocoa based osgViewer on it. This experiment said that its cause seems like a GPU driver bug. This is way beyond my head. After a few minutes of deep thought, a good idea popped out in my head. "Why don't I make a universal binary with Cocoa one and Carbon one?" If I build Cocoa one for 64bit and Carbon one for 32bit, I can have both speed and stability. And if I make it selectable at launch time, users can pick one suitable." So I turned on two macs and made a parallel build - cocoa/64bit on OS X 10.7 and carbon/32bit on 10.5. Building on 10.5 is needed since I want to get It also run on 10.5. Developer tools on 10.7 cannot generate a code that runs on 10.5 since these don't have SDKs for 10.5!! Making carbon version compatible with 10.5 loses just a bit of speed since dev tools on 10.5 don't optimize the code as fast as the ones on 10.7 do. Anyway, I packed these two Applications (cocoa/64 & carbon/32) into one universal package, and named it 2.6.0-r319. Thanks for all the fixes. Really enjoying 2.6! I have found a little problem in the Boeing 777 autopilot. When I engage autopilot, the plane will turn to a random heading (I believe it is 360) even though I have not selected heading hold. Also, the altitude hold doesn't seem to work either. It just keeps descending. Finally, the autothrottle says to me something along the lines of "Captain, autothrottle can't be engaged below 400ft!" even though I'm at 2000 feet. Hey Tat, i just downloaded the latest Flightgear for mac(2.6.0-r319) and the 777-200ER, the citation X and stuff would crash at initializing subsystems. I tried the 2.6.0 RC-2, it was all ok and it had never crashed once. Any help would be highly appreciated! Thanks. Last edited by Zhuangt98 on Fri Feb 24, 2012 11:54 pm, edited 1 time in total. http://flymerlion.org/<-- Brand New Merlion VA Website! 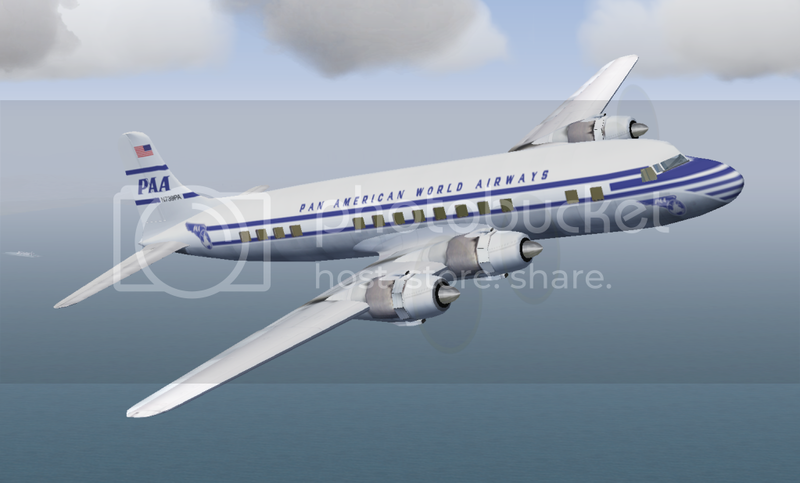 Here is my vintage Pan American Airways DC6... not perfect, but "flying" with the new FG 2.6... great work to all! 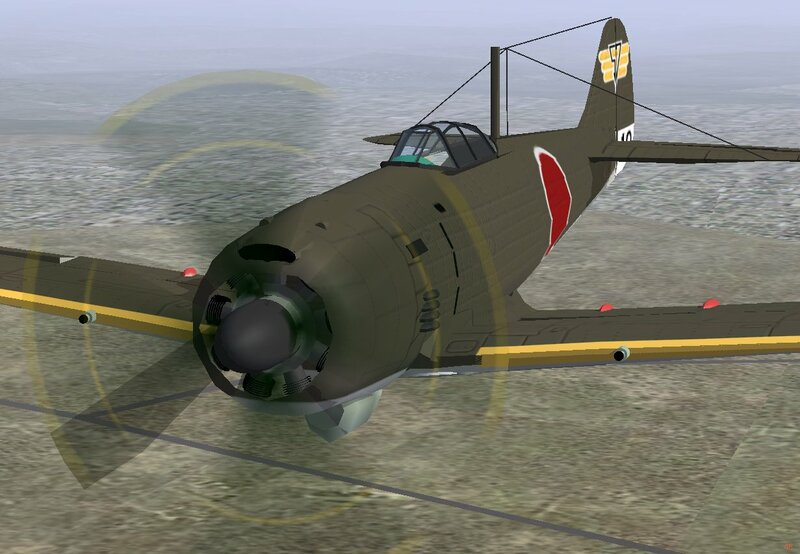 Still developing 2 more aircraft of similar era. Thanks tat. I really appreciate your efforts! Just wanna ask simple question - can i simply "copy/paste" my Scenery folder from 2.4 to 2.6 ? ? ? Or do i need to download & install a new scenery? Around The World with B1900D! Ernest1984 wrote in Sat Feb 25, 2012 12:14 pm: Just wanna ask simple question - can i simply "copy/paste" my Scenery folder from 2.4 to 2.6 ? ? ? Or do i need to download & install a new scenery? As for the new FlightGear release: I'm not experiencing really big fps issues, but one thing really frustrates me... In version 2.4.0, multiplayer didn't work. In version 2.6.0 RC2 it finally worked again! but now in the most recent release of version 2.6.0 for Mac, it doesn't work again... I feel lost :/ I'll try to get the command line and then I'll post it so you can find out what's the matter. Does anyone else experience this problem? Dunno about Scenery, but you can just drag Scenery-TerraSync into 2.6. I never download scenery, I let terrasync do all the work. Can anyone help me with this problem? I don't know if this has to do with the Mac FG but when I click on the animated jetways, it says "extending jetway" but they absolutely nothing happens. PanAm wrote in Fri Feb 24, 2012 1:29 pm: Here is my vintage Pan American Airways DC6... not perfect, but "flying" with the new FG 2.6... great work to all! Still developing 2 more aircraft of similar era. Oh, that reminds me, I must find my old liveries and see If they are compatible with the current version.